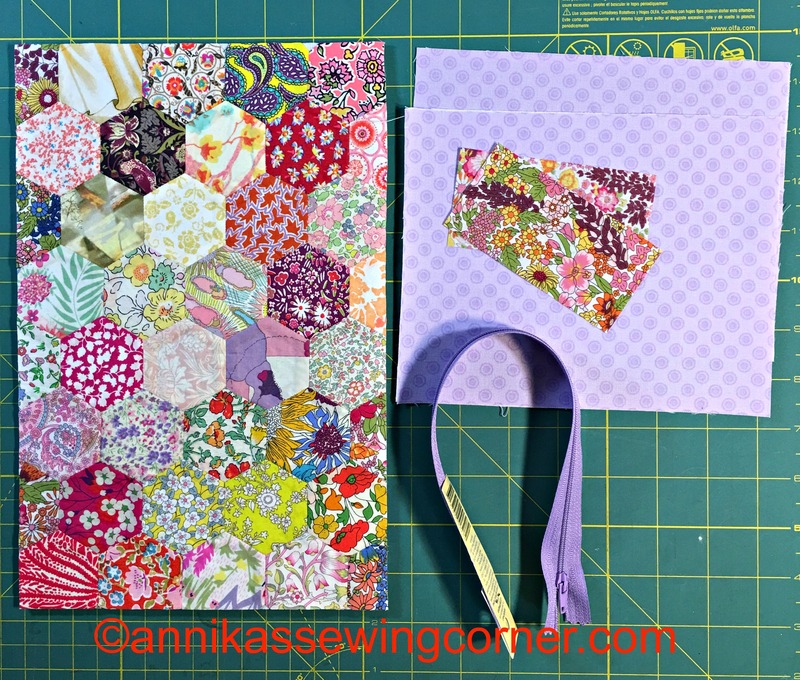 In my last post I told you about a EPP (English Paper Piecing) workshop I did at AQC here in Melbourne two weeks ago. 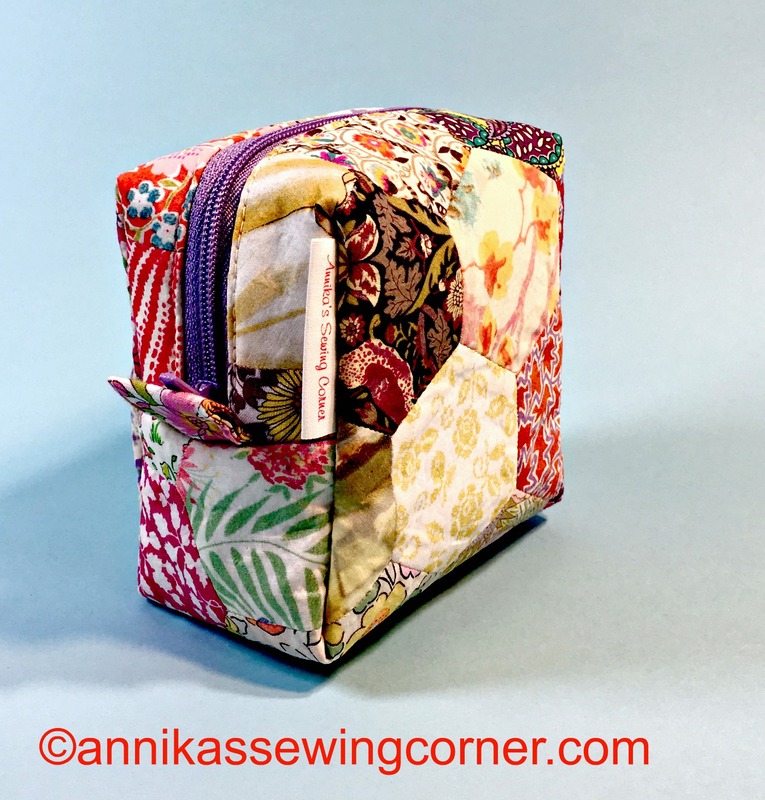 I made the hexagons in to a mini box zipper pouch. You can find the tutorial here. 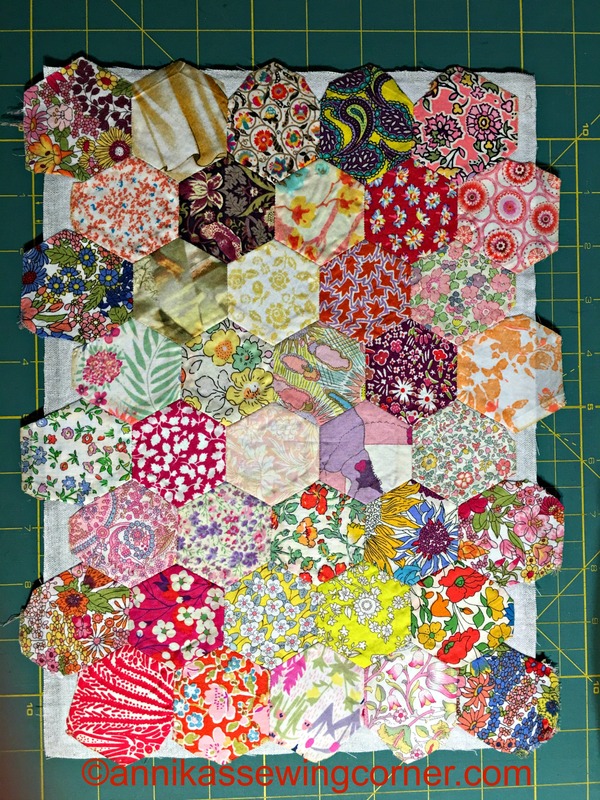 There was 35 hexagons in the kit and I added 5 from my fabric stash that was similar enough. I stitched them together in 8 rows of 5. I applied light weight iron on interfacing and thin iron on batting. Then I cut it in to a 7 1/2″ x 11 1/2″ rectangle. I cut two pieces of lining, 7 1/2″ x 6″, and added iron interfacing to both pieces. 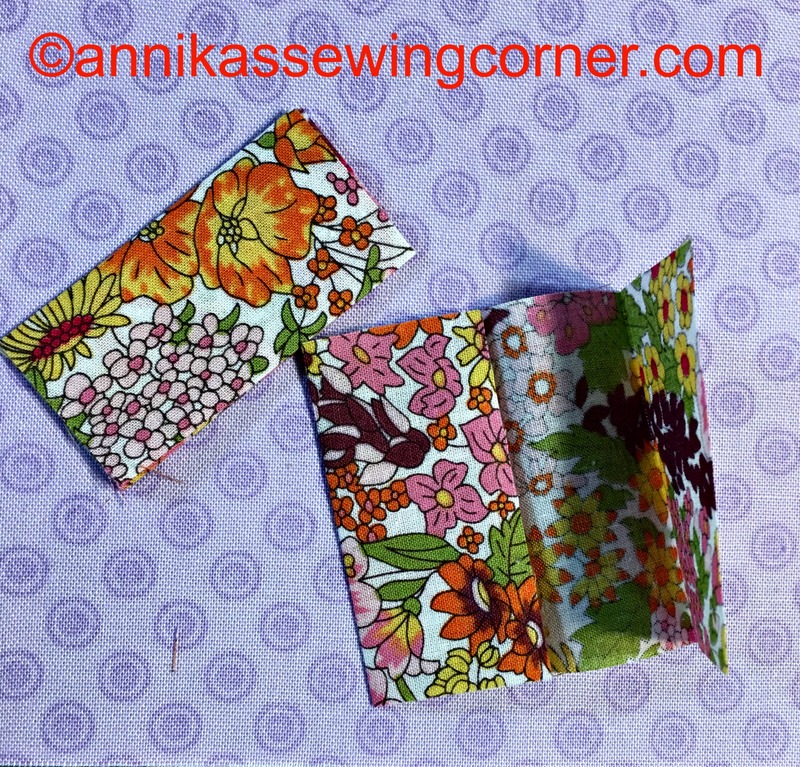 I also cut two pieces, 2″ x 4″, for tabs and found a zipper that was a bit longer than needed but it makes it easier to sew the pouch. I made the tabs like I usually do straps. Fold it in half and press, unfold, fold raw edges to crease in the middle, refold the first fold and press. The tabs should be 2″ x 1″ now. Top stitch close to both long edges. Instead of cutting out for the corners before I started two sew, I cut out the corners at this stage. Remember to add for seam allowance on one side since the outer fabric is one big piece instead of two . The corners I cut out was 1 3/4″ x 1 1/2″ with the longer side perpendicular to the raw edges on the sides. You are cutting through four layers here so use sharp scissors. 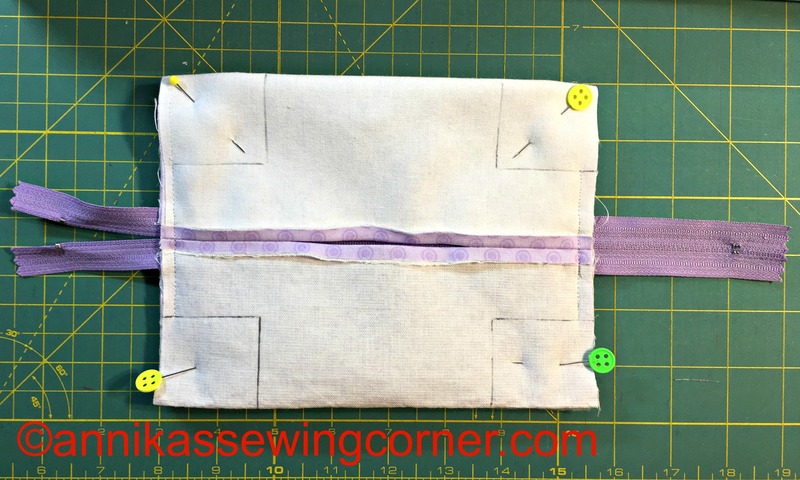 Sew between the boxes on each side through all the layers before cutting out the corners. Eventually it looked like this. It measures 3 1/2″ x 3 1/2″ x 2″. 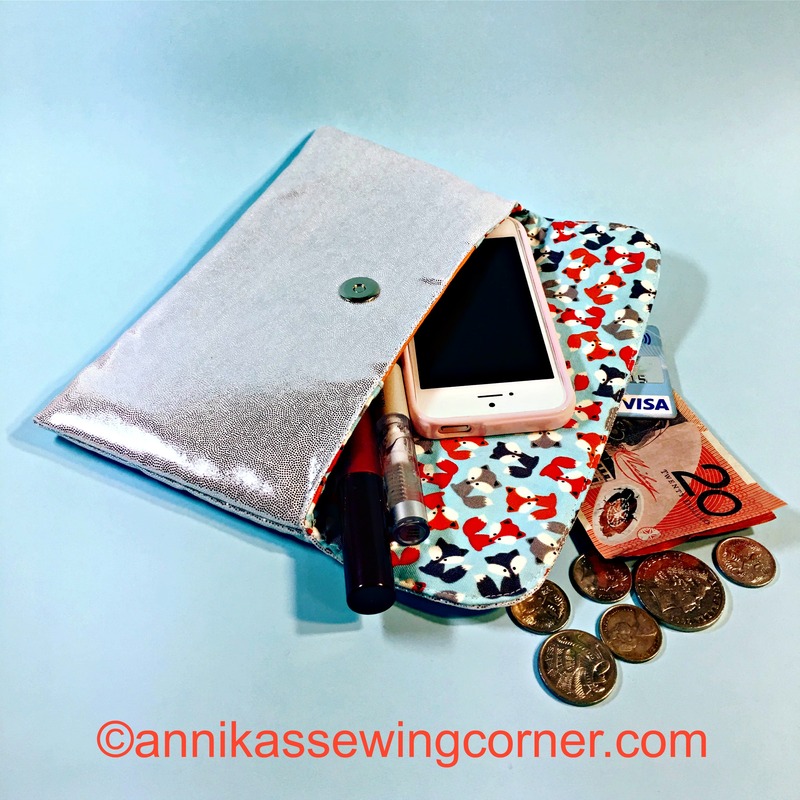 If you want the pouch to be lower and wider make the corner cutouts smaller. Maybe a perfect size for a phone charger, wall unit and headphones. I also have a new PDF sewing pattern in my Etsy shop. 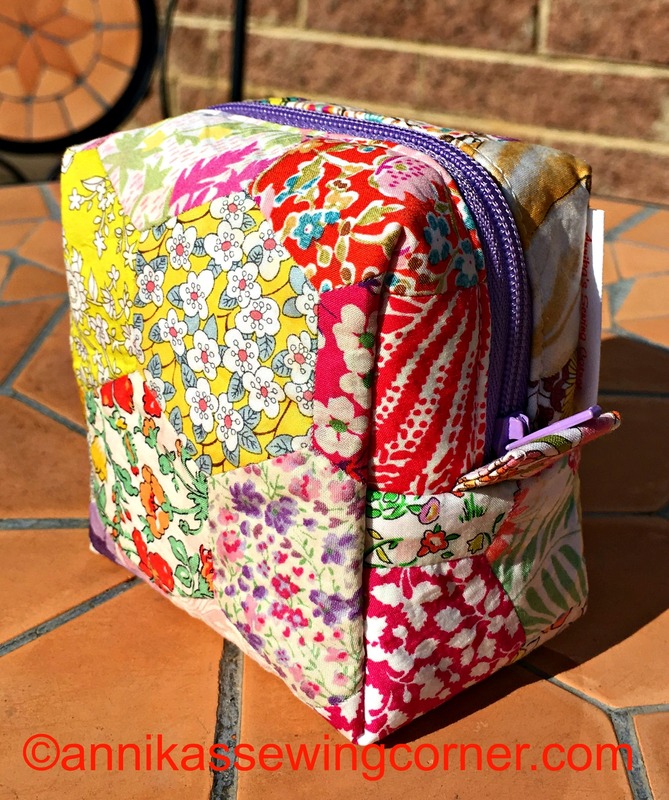 It is a clutch or small purse that measures 5″ x 8″. I has a inside zipper pocket and four card slots and plenty of room for a mobile phone. 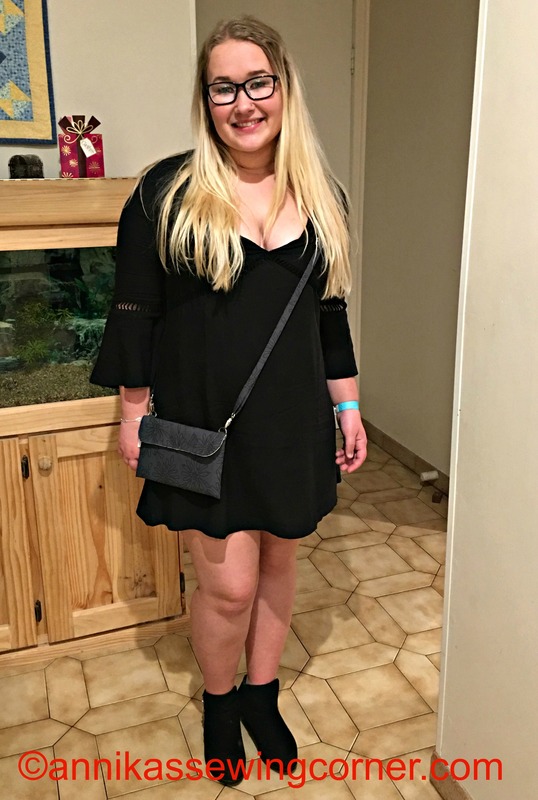 The clutch also have an optional strap. Maybe something to make for mum for Mother’s Day. Until next time – happy sewing and take care.